There has been numerous wingers linked with Arsenal in past few months. According to the football transfer rumours in British media, Arsenal are interested in Dalian Yifang winger Yannick Carrasco. The Belgium international joined Dalian Yifang from Atlético Madrid for a fee in the region of 30 million euros in February 2018. Carrasco made 20 appearances across all competitions for Dalian Yifang, scoring 5 goals and supplying 8 assists in return. 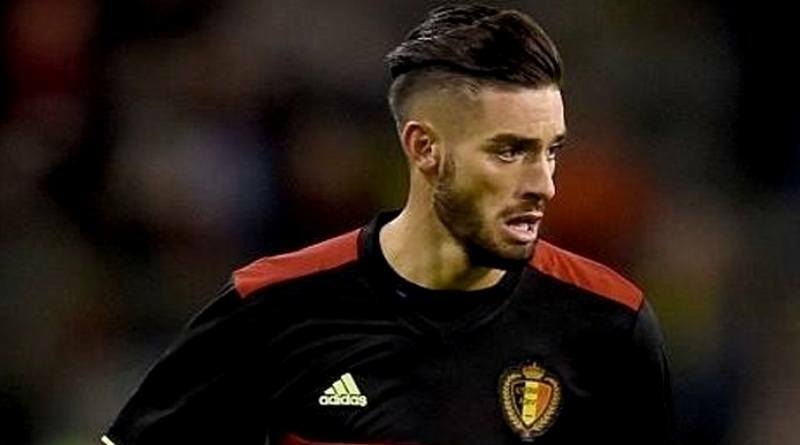 Yannick Carrasco has represented Belgium at Under-15, Under-17, Under-18, Under-19, Under-20 and Under-21 level, winning 35 caps and scoring 5 goals, before making his senior international debut in March 2015. As a member of Belgium national football team, Carrasco won 32 caps and he scored 5 goals. Unai Emery wants to sign a new winger and Yannick Carrasco is one of the names at the top of his wishlist. He is a long term admirer of Carrasco and believes he can get the most out of the Belgium international. Dalian Yifang are not in a position where they need to sell and would like to keep hold of the winger, but right offer may force the club to consider a deal. Signing the 25-year-old in the winter transfer window would be a masterstroke from Unai Emery. It will be interesting to see what happens when Arsenal come calling for Yannick Carrasco this winter.